Lily Ivory hopes for a normal life when she opens Aunt Cora's Closet. With her magical knack for vintage fashion - she can sense vibrations of the past from clothing and jewelry - her store becomes a big hit. 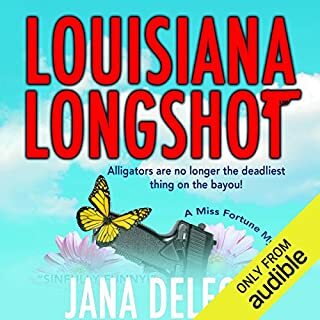 But when a client is murdered and children start disappearing from the Bay Area, Lily may be the only one who can unravel the crime. Witches and fashion - what's not to like! As a reporter for a Southeastern Michigan newspaper, Avery finds herself in trouble at every turn. She has a list of enemies - and she's not afraid to cross them. Follow her as she crosses paths with her former boyfriend, a hot new love interest, and a family that cannot be contained - even by the law. Katie Lightfoot's tired of loafing around as the assistant manager of an Ohio bakery. So when her aunt Lucy and uncle Ben open a bakery in Savannah's quaint downtown district and ask Katie to join them, she enthusiastically agrees. While working at the Honeybee Bakery - named after Lucy's cat - Katie notices that her aunt is adding mysterious herbs to her recipes. Turns out these herbal enhancements aren't just tasty - Aunt Lucy is a witch and her recipes are actually spells! Maybe it was the Shenanigans gift certificate that put her over the edge. When children's librarian and self-professed nice girl Jane Jameson is fired by her beastly boss and handed $25 in potato skins instead of a severance check, she goes on a bender that's sure to become Half Moon Hollow legend. On her way home, she's mistaken for a deer, shot, and left for dead. Not just suspend disbelief, but kill it dead! 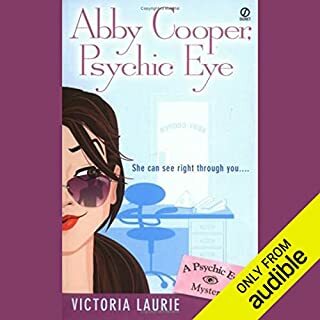 In New York Times best-selling author Victoria Laurie's newest Psychic Eye mystery, Abby Cooper has one rule to follow: Don't panic! 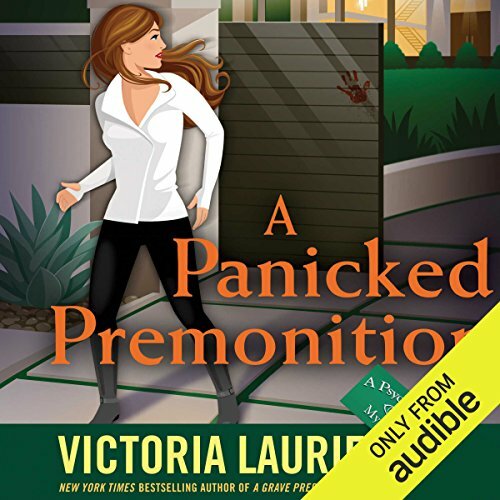 ©2017 Victoria Laurie (P)2017 Audible, Inc.
STORY: I totally enjoy all of Victoria Laurie's Psychic Eye stories EXCEPT for one thing. They have quirky humor, good suspense and a nice side of romance. Now for the one thing that drives me bonkers. Several times she'll leave an obvious clue lying around in the story that all the characters overlook. Then when you're ready to start yealling at them to do something, call someone, or check out somebody you find out at the big "reveal" that they finally got it but it wasn't mentioned. All I can say is Aargh! Seriously, very enjoyable entertaining and educating reads. Not like the others-couldn't finish! What was most disappointing about Victoria Laurie’s story? I have enjoyed the previous books in the series, but she's obviously run out of plots and this one is awful. It took an hour and a half to even get to the plot of the story, the beginning was just filler. However even then it was just so boring and I found myself constantly rolling my eyes. I only got through the first few chapters and then couldn't take it anymore and didn't finish the book. I'm returning it. I just wanted to warn her fans that this is not on par with the other books. Would you be willing to try another book from Victoria Laurie? Why or why not? Absolutely! I own most of her books, I truly enjoy her writing, just not this one. What didn’t you like about Elizabeth Michaels’s performance? She reads well, great pronunciation, strong clear voice, good cadence and that's where the good ends. I have listened to the entire series and Ms. Michaels reading has been and is sub-par. The more characters there are, the worse it is. She needs to study with a good voice acting coach. I can only distinguish two separate characters the rest sound the same. And poor Brice, what she has done to this prominent FBI leader's voice is criminal. She makes him sound like a boy going through puberty, just awful! Her Southern/South West accents are completely atrocious! I'm a New Yorker but I've lived most of my adult life in the Southeastern part of the US, plus 3 years in Southern California, many Texan and Tex-Mex accents there as well. I'm not an accent scholar but she insults Texans with her poor attempts. Could you see A Panicked Premonition being made into a movie or a TV series? Who should the stars be? I think the entire series would make for entertaining viewing. I'm not not a casting director, I have no idea. The first Victoria Lauri book I ever skipped chapters. I love this series because of Abby and Candance aka Sundance and Cassidy. There wasn't much of the the zany messes they usually get into. No "Lucy, you have some splainin' to do". There was only one time that I thought "Dutch is going to freak out". Plus Abby didn't do what Abby is best at doing, using her "crew". Not to mention how unfazed everyone was with her language. In previous stories, they cost her a quarter a word. I'm a US Navy Veteran, my language can be a bit colorful at times, so it's not that at all, it just wasn't an Abby-Dutch-Candance-Brice story, none of the characters were who they have been in previous books. As long as Ms. Lauri writes them, I'll listen. As far as Ms. Michaels, she needs to see a vocal acting coach. Don't try any more southern accents and do something about Brice's voice. Always a great read in this series! This was a good mystery and kept you guessing til the end. A little slow in the middle but well worth the coins or tokens. This really is a great series to listen too! Abby and team do it again! 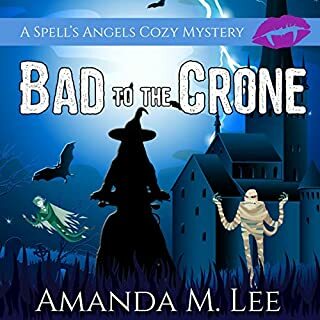 Candace and Abby are the best team in print when it comes to a psychic bad azz and the best private investigator in the world. 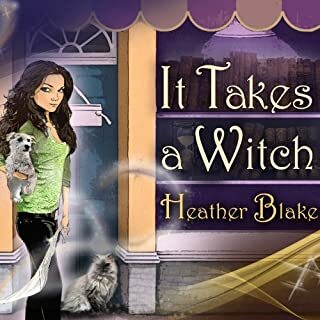 This time they have to save Dave and the men they love have a business that needs their special abilities to save their reputations and keep the customers coming. Gotta love em and their fitness routine, too. More, More please! What disappointed you about A Panicked Premonition? Victoria Laurie did not ever, or very rarely, put foul language in her books. She was one of my favorite cozy mystery fans. Not any more. A Panicked Premonition was full of foul language. I couldn't get but half way through the book. 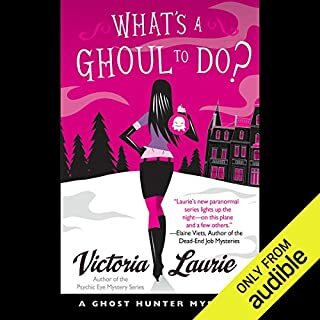 What could Victoria Laurie have done to make this a more enjoyable book for you? Leave the "f" language out. Maybe I could have stood the "s" language quite a bit less too. Which character – as performed by Elizabeth Michaels – was your favorite? I may be alone here, but I really enjoy the heck out of this series! I've read ever book in the psychic series. I like reading about Abby Cooper and her super sleuth skills. I will admit sometimes Laurie can water the characters down a little. I would like to see her write more books- I'm waiting?!?!? Ms. Laurie- can you not make the characters quite as scattered ?? Elizabeth Michaels does a great job as Cooper. I don't think any other voice at this point would do the character justice. With Michael 's voice, I have that mental image, and any other would mess up the mojo. Abby Cooper and friends solve a most delicate mystery involving Dutch’s side business and their handyman Dave who stands accused of murder!! Well written as usual and a definite can’t put down book. Laurie once again brings Abby and friends to a critical moment leaving the listener to believe all might be lost but then the answer comes to her. Elizabeth Michaels performs the audiobook expertly. She has become Abby Cooper! She reads magnificently! No issues with the production or quality of the audiobook. 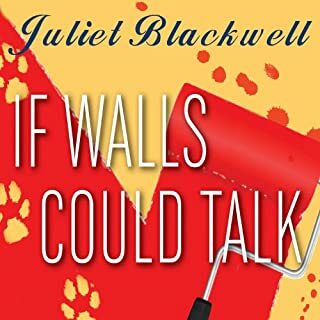 good book apart from mistakes & Brice 's voice.